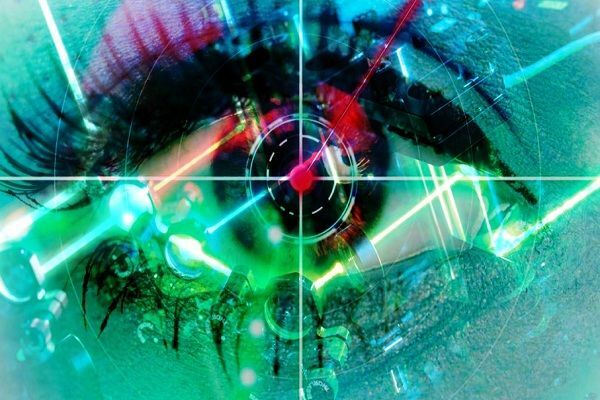 Home / electronics / health / laser technology / lasers / medical science / quantum-physics / technological advances / technology / The uses of laser technology in medical fields-How lasers cause a medical revolution? The uses of laser technology in medical fields-How lasers cause a medical revolution? LASER (Light Amplification by Stimulated Emission of Radiation) is electromagnetic radiation whose photons are equal in frequency and waveform symmetry. The constructive interference between the wavelengths interacts with a high-energy photovoltaic pulse of time and with a very small deflection angle, which cannot be achieved using techniques other than the stimulation of radiation. Due to its high energy and very small diffusion angle, laser radiation is used in many fields in a very large way. It has been used in many fields, such as CD-ROM manufacturing, in the electronics industry, precision measurement of distances, communications, Laser in the treatment of some eye diseases, and many surgeries such as brain surgery, cardiovascular surgery, and general hair removal. The latest discovery of lasers is a breakthrough in medicine and some believe that the future of this field is linked to the development of laser science. In this article, we will discuss only the usages of laser technology in the medical fields. Today, lasers have become a vital part of our daily lives. 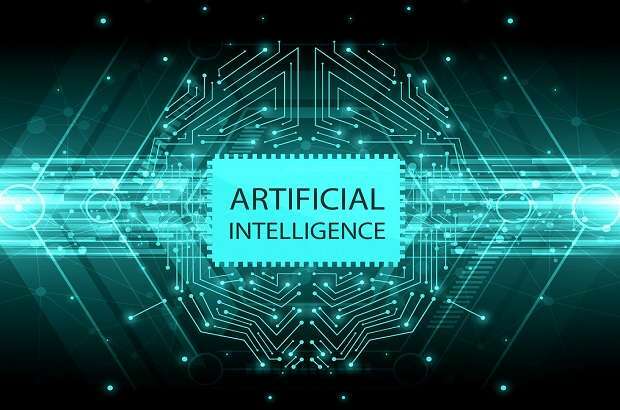 They are used from manufacturing to entertainment, construction, communication, automotive, aviation, education, do-it-yourself projects, robotics, space, medicine, warfare, and more. Since their invention more than five decades ago, the field of medicine has been one of the biggest beneficiaries of laser technology. A laser is an electromagnetic radiation consisting of high-energy ultra-coherent, high-resolution photovoltaic pulses, and the term Laser is the abbreviation for Light Amplification by Stimulated Emission of Radiation. Some scientists believe that the lasers have made a major change in the form of life on the surface of the planet and that the state of prosperity and technical progress experienced today may have differed significantly if the science did not reach that high-energy radiation and the angle of small breakthrough, but the medical field remains the biggest beneficiary of this enormous optical energy and unique characteristics.. See What are the uses of lasers in this field? 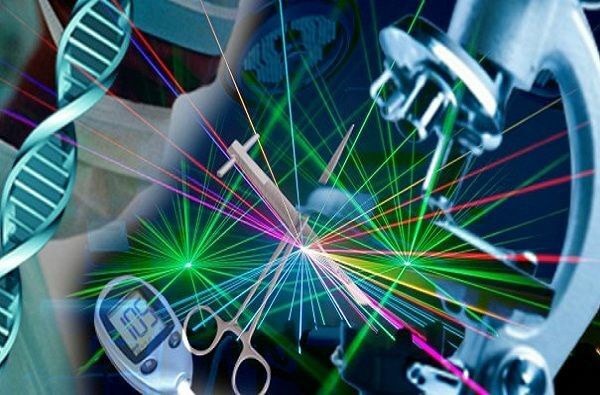 Very fast development of laser technology in the world implements the need for up-to-date information about the characteristics of various laser instruments. Without such information, it would be difficult to get in touch with the latest development of the world's technology. Different types of lasers have different signal limits in medical practice. Carbon dioxide laser: It creates a beam of infrared light in which the main wavelength focuses on the band 9.4 and 10.6 micrometers. The CO2 laser is the highest-power continuous wave laser that is currently available. It is also quite efficient: in which the ratio of output power to pump power can be as big as 20 percent. Diode Laser: It is used in various important medical applications such as diagnostics, surgical treatment, and photodynamic therapy. Diode laser technologies provide many advantages. They reduce blood while operating, eliminate pain and minimize swelling. They can also be used to cut tissues, remove cancers cells and coagulate blood vessels. Dye lasers: They are lasers in which organic dyes are used as the lasing medium, generally as a liquid solution. Compared to solid-state and gaseous lasers, a dye laser can typically be used for a wider range of wavelengths, often extending from 50 to 100 nm or more. It is also used in many medical procedures, such as diagnostics, urology, laser angioplasty, thermolysis and treatment of vascular lesions. Exciplex laser or excimer laser: This is a form of an ultraviolet laser which is usually used in the production of “chips", eye surgery, or semiconductor-based integrated circuits, micromachining and microelectronic devices. Fiber laser: This is a laser in which the active gain medium is an optical fiber which is doped with rare-earth elements such as neodymium, praseodymium, erbium, dysprosium, ytterbium, holmium, and thulium. They belong to the doped fiber amplifiers that provide light amplification without lasing. Gas laser: It uses a mixture of gases contained inside a small chamber. After applying the voltage in the chamber from the outer source, atoms or molecules in the gas are stimulated and excited and produce light in the process. Free-electron laser: This is a type of laser in which there are very high-speed electrons in its lasing medium, moving independently through a magnetic structure. The free-electron laser is tunable and has a wide frequency limit of any laser type. Solid State Laser: This is a normal laser in which there are two components (optics and electronics) which are integrated into a single box. A cavity featuring the spherical mirror at each end is filled with a crystal medium, which then focuses the injection light into a high-intensity beam. We have learned above, Lasers came through several stages of development and have many types, and gave the unique properties possessed by those rays, which were introduced in the forefront of the area, of which there is a medical field, which caused these rays to resemble a huge boom. It can be said that ophthalmology, in particular, was one of the most useful areas of laser radiation and its applications, as the development of laser science to overcome a large number of eye diseases, which infects the eye membranes that was seen in the past as intractable diseases and no treatment. Most of the centers and clinics in the field of plastic surgery have become a "medical center specializing in cosmetic and laser operations"; the secret is that laser operations have revolutionized the medical field and are one of the direct causes that contributed to the increase in demand of various countries in the world. Lasers have become a safe and effective alternative to the greater proportion of conventional surgical procedures. Laser technology achieves almost similar results while minimizing the risk of any complications and potential health risks of surgical intervention. Some scientists believe that the ability of real lasers has not yet been discovered and that it can be used in the near future for far more purposes than today. One of the signs of the validity of that belief is that the laser has been common use in the past few years in the treatment of diseases of teeth and gums. In addition to the aforementioned laser applications in the field of dentistry, they are also used in minor surgeries where the surgical incision and the clotting of bleeding blood vessels are performed. However, despite these multiple advantages, the laser uses in this specialty are still deficient and are used only with a limited number of the cases, where the laser can not apply to the teeth completely mossed and not applied to teeth that contain old fillings. Dermatologists are among the most advantageous to the development of laser science and its applications in the medical field. Modern medical techniques and devices have enabled them to treat quite a few skin diseases that had been impossible in the past. A laser is also used in the treatment of many scalp diseases such as alopecia, psoriasis, and so on. Laser applications in the treatment of skin health problems are extremely versatile. The laser beam can be used to remove wrinkles and combat the effects of aging. It also makes the removal of tattoos and freckles easier and less painful. Scientists and doctors are convinced that laser beams to date have not been used optimally in the medical field and that they can be used more extensively. Therefore, research in laser science is almost non-stop, and scientists are currently developing many devices and technologies that depend on the laser to be used for various medical purposes. Researchers have found that the light and thermal energy produced by the laser device used in fat dissolving can be exploited - after the development of the device - to overcome the disease of inflammation of the tissue cells and other heart diseases. In conclusion, we can only say that laser beams are a powerful force that can be exploited for destructive purposes such as weapons development, for example, and can be harnessed for noble purposes such as upgrading the industrial sector and developing various technological means, in addition to using the properties of this unique energy in various medical uses, so that we can say that the future of medical fields has become closely linked to the future of laser science.